Incredibles 2 is a long-awaited sequel that is introducing a whole new generation to the lovable and daring Incredibles family. 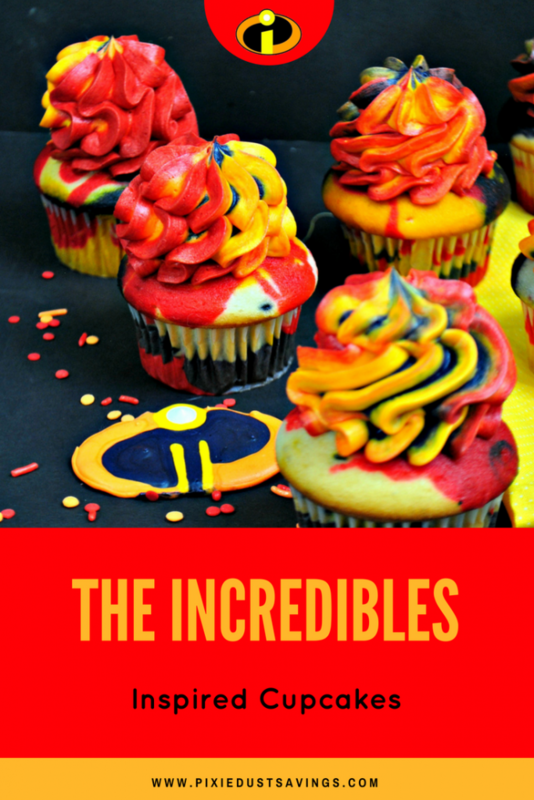 These awesome looking Disney Incredibles Inspired Cupcakes are a perfect hit for a family movie night, date night, or Incredibles party! This recipe calls for a cake mix to make the cupcakes, but don’t follow the instructions on the back of the box. 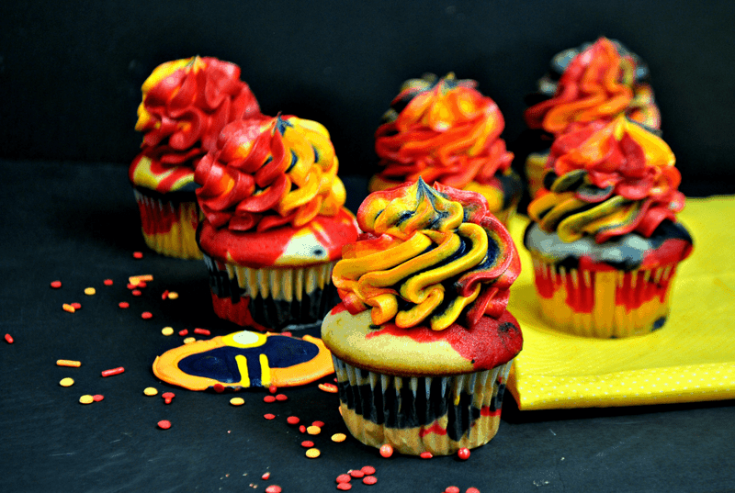 Using the ingredients in the recipe below makes the cupcakes richer and moister. 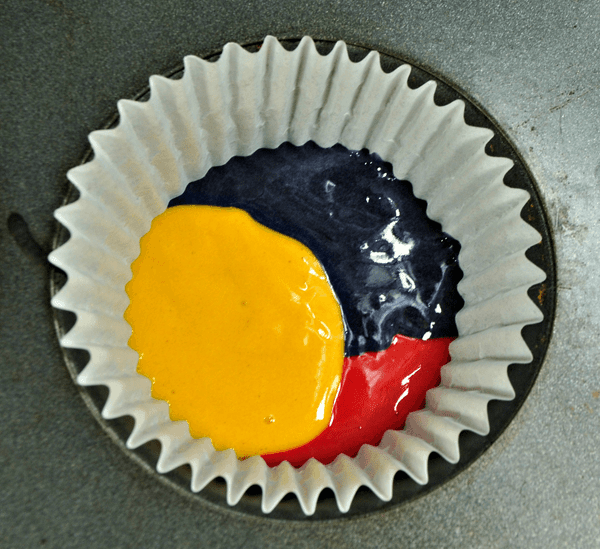 Once you have divided the cupcake batter into different colored bowls, scoop into the cupcake liners by the tablespoon alternating colors as you go along. Be sure to let the cupcakes fully cool before adding the frosting. Add the Red to one bowl. Add the Black food coloring to the second bowl. Add the Golden Yellow food coloring into the third bowl. Leave the fourth bowl white. Begin to fill the cupcake liners by scooping about 1 tbsp of each colored batter into the cupcake liners. Continue to rotate colors until it is 3/4 of the way full. Are you excited for Incredibles 2? Who is your favorite character from the first movie? Love these! 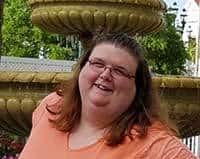 So bright and happy!